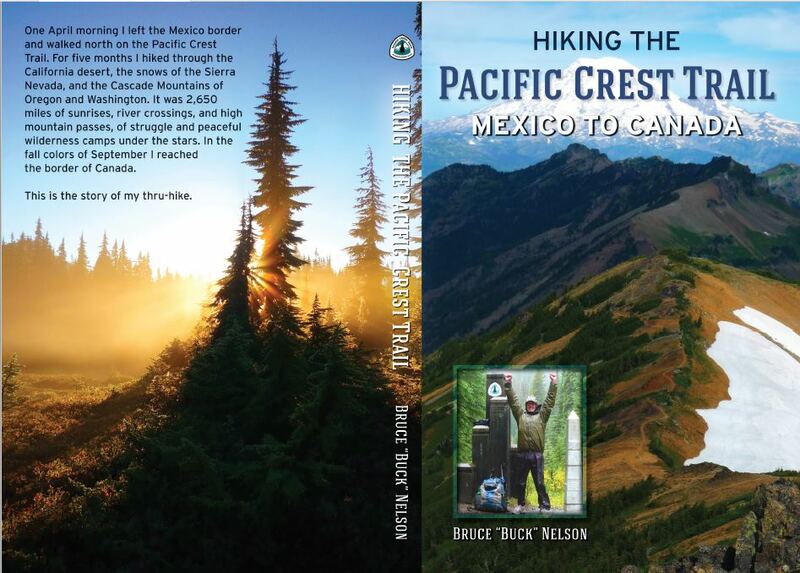 My journal of my PCT hike can be found here. My name is Bruce Nelson, aka Buck. On the long trails I follow the tradition of using my “trail name,” Colter. In 2010 I’m going to attempt a 2,650-mile hike of the Pacific Crest Trail (PCT.) This trail roughly follows the Sierra Nevada mountains of California, and then the Cascade Mountains of Northern California, Oregon and Washington. It starts at the border of Mexico and California and finishes on the Washington/Canada border. About 300 people a year attempt to “thru-hike” the whole trail, and according to the Pacific Crest Trail Association, about 60% finish. I like to pack light, and will be doing so again on this hike. I’ve posted my gear list here. Please scroll down to see a list of “trail towns” and for a map of the trail’s route. 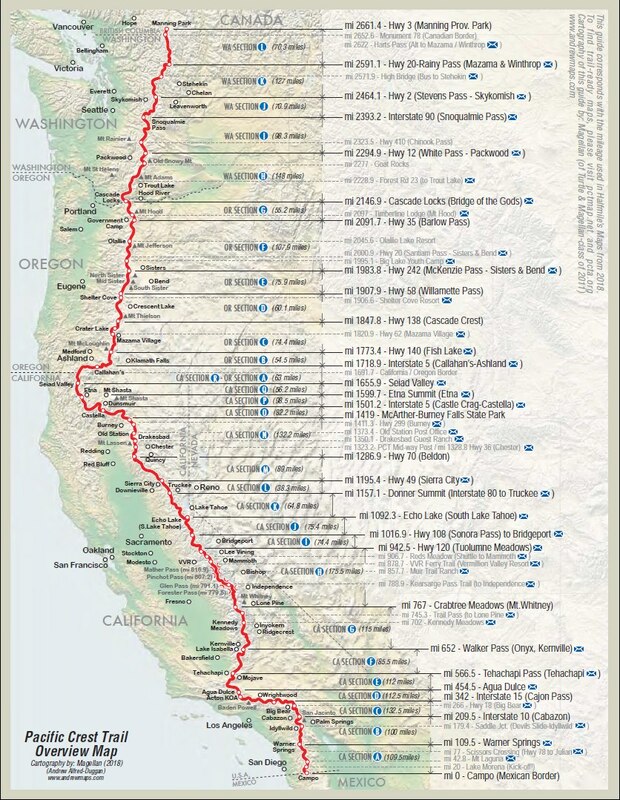 And if you like maps, make sure you check out the link for the Postholer maps of the PCT. Really interesting! Using Craig’s PCT Planner I generated a general hike plan. I am a firm believer in modifying a hike plan as necessary. Weather, fitness, snow levels, the fun factor, etc. will all play a role in changes made along the way, but this plan will still likely be in the ballpark and give a good idea of days between resupply points, etc. I’ll be starting out fairly slow, as I’m starting reasonably early in the season. This will give me plenty of time to get in good shape and give the snow in the high Sierras more time to melt. Sounds like that might be an especially good idea this year! Postholer also has awesome maps. Check them out. The PCT is displayed on your choice of satellite maps, terrain maps, road maps etc. It will plot where the towns are, the standard mail drop points, even allows you to choose photos of strategic spots. Very cool! Glad you liked Alone Across Alaska. Someone told me you lived near the trail but I didn’t know where. It would have been really fun to see you. Next time!